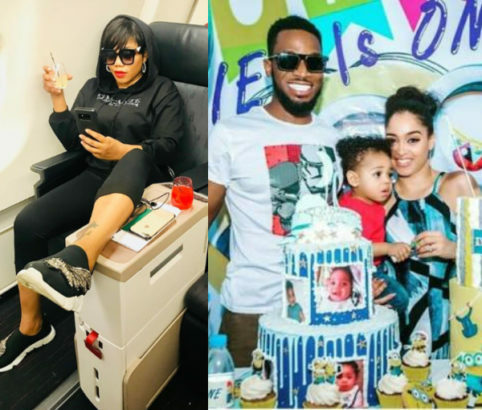 Nigerian celebrity stylist, Toyin Lawani, has called out Nigerians who have criticizing Nigerian singer, D’banj and his wife Didi Lineo , over their son’s death. 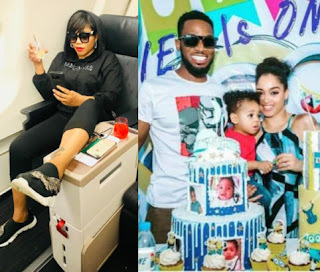 Toyin Lawani who asked Nigerians to stop blaming the singer and his wife who are still mourning their son’s death, recounted how her son Tenor, almost drowned in a pool where she had gone to work. According to her, the incident occurred while Tenor was being looked after by her nanny and such incidents does not in anyway make her a bad mother. ”I had to put this right here,I’m super irritated, this is not about any of us, but we can learn from our mistakes, that’s why I said people pointing fingers should go watch how it happened to my son, cause it happened so fast and I was right there, no one is selling any market here, just stating the obvious, I can’t believe even In death, people still criticize, Jesus is lord???????????????????????? had to delete my previous post, cause of all the silly comments, today is not the day for trolling and point fingers, Give yourselves Brain, I was so disappointed with the comments I read online about this issue, why why why do you people do this all the time, it’s so sad for our nation to always bring down people, even at their lowest, what if the Mom hurts herself with all your harsh words , think for once about the damage your comments can cause, No parent pray for this?”.